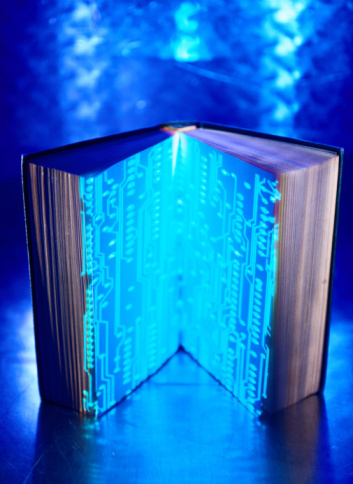 What is an Embedded Librarian? Embedded Librarians: What is an Embedded Librarian? Embedded librarians are integrated information experts that offer more direct research assistance to groups of faculty and students than the typical one-shot instruction session, often over the course of an entire semester. While librarians can embed in face-to-face classes, they are increasingly in demand withinin virtual environments in order to support online classes, hybrid classes, and face-to-face classes that include an online support component. Librarians can compile a resource list specific for the course that includes links to books, journals, and/or databases from the library, and make that list available on the library guide or in D2L. Librarians can create or locate a brief video or screenshot tutorial specific to the course and assignment. Librarians can schedule and give a live research instruction session online that supports a target assignment or skill. This is a virtual bibliographic instruction session using using Collaborate. Librarians can schedule and announce regular or virtual office hours (according to the librarian's availability) during which students can ask the librarian questions regarding their research needs. We can schedule that for the library's online chat, a virtual classroom, or in person! Librarians can set up and monitor a discussion board in your D2L course where students can ask library-related questions. How much time does that take? That depends on what kind of presence you want to have. Micro Presence - librarians usually work one-on-one with a faculty member with whom they already have a professional relationship. This is often seen as a more maintenance-intense approach because librarians shape their involvement to fit the needs of the class. Time commitments for this experience can range from a medium time commitment (ie, multiple asynchronous discussion activities) to a high time commitment (ie, multiple synchronous virtual presentations with weekly virtual office hours, graded assignments etc.). Macro Presence - librarians generate tutorials and activities that can be used across many course groups, enabling a "drop in" component for online courses that requires a lower time commitment than the micro level. More students are served by the embedded library services this way, and the level of personal interaction between the librarian and the student is reduced. Paraphrased from a white paper by Laura Wright and Ginger Williams, 2011. See Recommended Reading tab for more information. Thanks to Angela Colmenares of Sam Houston State University for the "bones" of this guide!